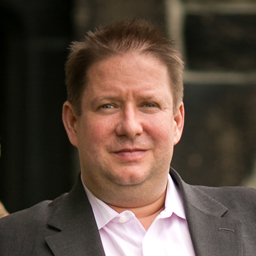 Joining the Office of the Privacy Commissioner of Canada (OPC) in 2012, Brent Homan is currently Deputy Commissioner, Compliance, which includes enforcement oversight of Canada’s federal public and private sector privacy laws. Mr. Homan’s accomplishments in the Privacy world include key ‘Digital Society and Economy’ matters, such as investigations relating to: the World Anti-Doping Association (2017), Ashley Madison (2016), the Bell Advertising Program (2015), Google Online Behavioural Advertising (2014) and Apple Transparency (2014). With a rich background in International enforcement, Mr. Homan has joined forces with global partners, co-leading numerous international investigations including the Global Privacy Award winning Ashley Madison joint-investigation with Australia and the US FTC and the first ever international joint-investigation in the field of Privacy (against Whatsapp) with the Dutch. Mr. Homan also created and spearheaded the Global Privacy Enforcement Network (GPEN) Privacy Sweep, now in its sixth year and involving close to 30 Privacy Authorities from around the world. A leader in innovation, alongside European counterparts Mr. Homan has been studying the growing intersection of privacy, consumer-protection and anti-trust issues. In the area of electronic privacy threats, Mr. Homan oversees the OPC’s Spam and Cyber-threat Program (CASL), including its first ever address-harvesting investigation (2016 Compufinder). Prior to his appointment at the OPC, Mr. Homan was Assistant Deputy Commissioner at the Competition Bureau of Canada where he led numerous high profile misleading advertising investigations in the areas of price representations, E-Commerce and Health Fraud. In the area of health, Mr. Homan led Canada’s Tobacco Inquiry into the use of Light and Mild descriptors, culminating in the removal of Light and Mild labelling from cigarette packaging across Canada. Mr. Homan holds a Bachelor’s Degree in Economics and Political Science from Carleton University, and a Master of Arts in Economics from the University of Ottawa.